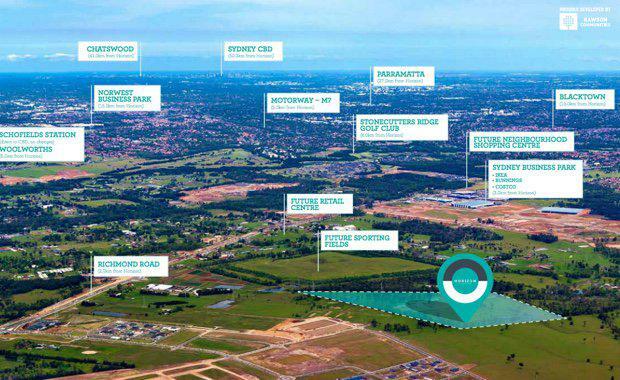 North-western Sydney has become the new frontier for an emerging demographic who are driving demand for homes in well-connected outer suburbs, according to developer Rawson Communities. Dubbed the ‘urban escapists’ this new generation of home buyers comprise young families seeking a greater work-life balance by living in communities that promise the safe neighbourly feel of years gone by minus the hustle and bustle of inner-city living. Generally aged 25 – 40 years, these blue and white collar workers are seeking a retreat in a village-like setting with a strong sense of community and state-of-the-art education and leisure facilities. Rawson Communities General Manager Ben Hogan, which delivers 300-400 properties a year to market, said this demographic was a key driver of outer urban growth in areas like Sydney’s burgeoning Marsden Park. “This precinct has recently been highlighted as the fastest growing residential postcode in New South Wales,” Mr Hogan said. “It is attracting an unusually specific audience, which places a high value on community and family as well as having access to the best in new services and amenities. To cater for the audience, Rawson has unveiled a 360 lot development - Horizon at Marsden Park, offering an affordable entry point to the Sydney property market. “The majority of our prospective buyers are young, growing families trying to get a foot into Sydney’s lucrative property market,” Mr Hogan said. “These Urban Escapists are seeking a contemporary lifestyle and family-orientated neighbourhood in a great location with accessible connections to shopping and community hubs, schools and recreation areas. Horizon will be a vibrant community off Glengarrie Road, featuring lot sizes ranging from 225 sqm to 450 sqm, with price points starting from $614,300. Rawson Group’s CEO, Matthew Ramaley said a key risk for buyers in these newly developed areas were budget blow-outs associated with building a new home, with purchasers often facing a laundry list of additional charges for extras such as driveways, mailboxes and landscaping. “Unfortunately there can be a lot of fine print. We see a lot of families on a budget shocked by the real price of a new home,” he said. “As a result, we’ve created an all-inclusive price that prevents the bill shock that can devastate these purchasers, our fixed price gives them greater certainty. “Buyers can choose to build and design an all-inclusive Rawson Home with no hidden costs.” Once complete, it is expected over 1000 residents will call Horizon home.